This lively survey of 150 years of fashion covers everything from Haute Couture to the High Street. From Coco Chanel to Alexander McQueen, Breward explores fashion as a cultural phenomenon. Topics include fashion in film, the world of Vogue and advertising, and the use of fashion to create identity from the Flapper to the New Look, and Dandy to Punk. This lively survey of 150 years of fashion covers everything from Haute Couture to the High Street, and developing fabric technology from silk to fleece. From Coco Chanel to Armani and Alexander McQueen, Breward explores fashion as a cultural phenomenon. 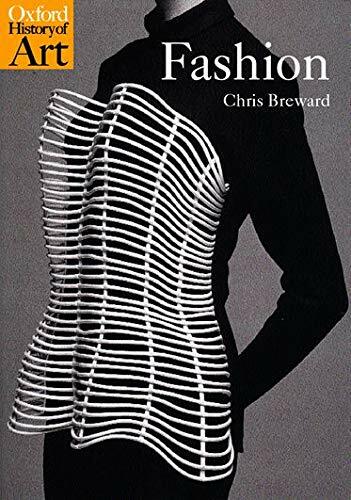 Breward examines the glamorous world of Vogue and advertising, the relationship between fashion and film, and fashion as a business, and goes beyond the surface to consider our interaction with fashion. How have our ideas about hygiene and comfort influenced the direction of style? How does our dress create our identity and status? Details of dandies, flappers, and punks are contained within a clear overview of the period which will make you look at your clothes in a different light.